December 8, 2017 By Chelsey 1 Comment This post may contain affiliate links. Read my disclosure policy here. 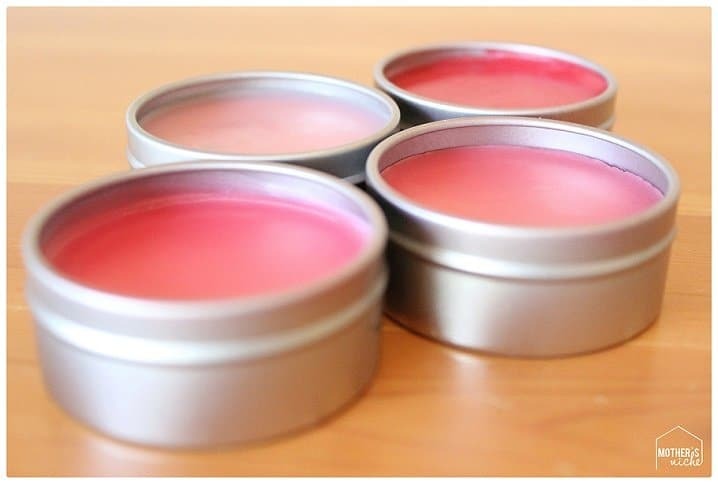 How would you like to know how make lip gloss (and save lots of money)? This is the place to find easy DIY Lip gloss instructions! Who doesn’t want a natural way to soften lips? With all the crazy chemicals everywhere it is nice to revert back to the natural and lovely things that make you feel fresh and beautiful. We all struggle with chapped lips now and again, right? I know I do, especially in the winter months. This is the easiest lip gloss to make. It has natural ingredients that will leave you with long-lasting soft lips. I put mine on in the morning and my lips stay soft all day. I reapply after meals as needed but that’s it! You are going to wonder why you spent so much money of chapstick all this time. In a sauce pan, melt the beeswax and coconut oil together beeswax is melted and the mix is smooth. Avoid boiling. Turn off heat but keep on burner. 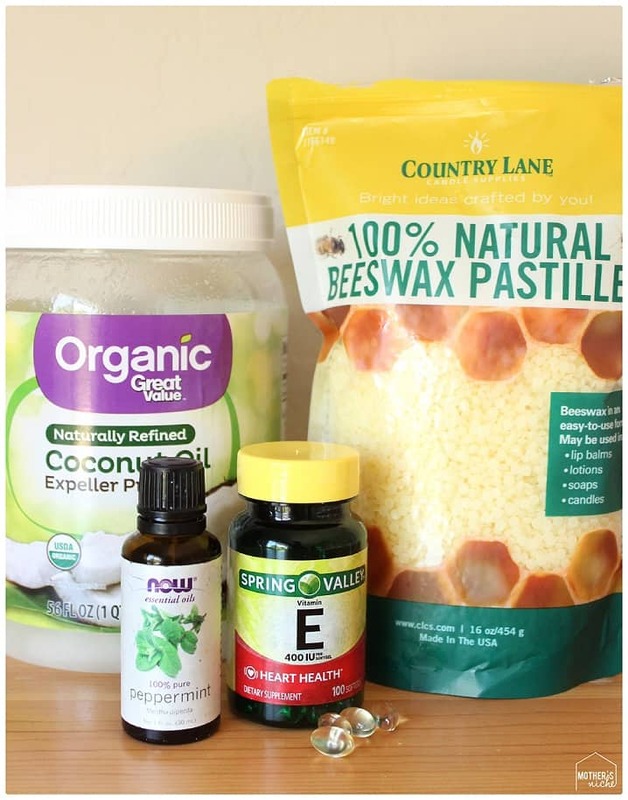 Add 2 tsp Vitamin E (or 6 liquid gel capsules) and Peppermint oil. Mix well. (Add any colored edible pearl dust if desired for some added color, then fill container immediately while liquid is still hot.) The coloring is not necessary but is a fun addition to the beautiful finished product. To stiffen quickly put it in the freezer for 2-3 minute. Once completely cool top with lid. This will fill four, 2oz lip gloss containers. So, depending on your container the recipe could fill more or less. Make your lips happy in a beautiful natural way! And it costs only pennies to make! When put into a cute container they make perfect gifts for friends and family! You will love it! And so will they!